BennuLife offers the latest in non-surgical therapy for men and women to maintain, improve and restore the quality, quantity and density of your hair. Utilizing your own stem cells or platelet-rich plasma, our unique treatment has been shown to reactivate existing hair follicles and jumpstart the normal hair growth cycle. Hair is an integral part of who we are and how we feel. When you begin to lose your hair, many of us resign ourselves to what we think are the facts – that we’ll either have to undergo surgical treatments, explore artificial methods, or simply get used to it. BennuLife’s stem cell and PRP technology provide the most advanced treatment to naturally reverse thinning hair by increasing hair thickness and signaling the hair follicles to remain in the growth phase. 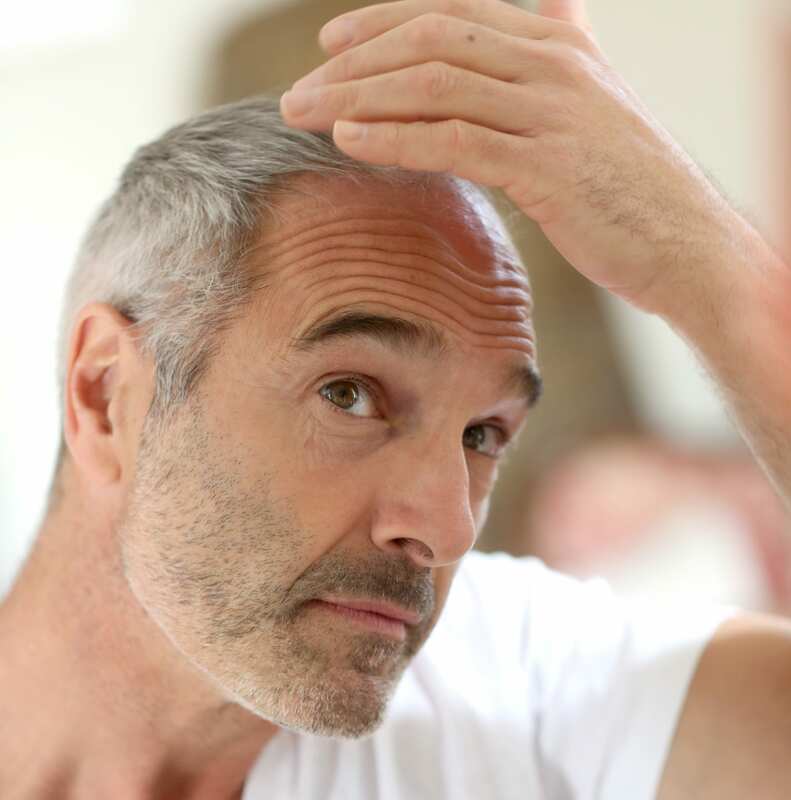 We apply cell therapy to hair restoration in two distinct ways to utilize your body’s own natural growth factors, proteins and stem cells to reactivate existing hair follicles and jumpstart the normal hair growth cycle. PRP (PLATELET RICH PLASMA): Our nurse obtains a small sample of blood from your arm then concentrates the powerful platelet rich plasma. The PRP recruits fibroblasts and mesenchymal stem cells to the scalp, stimulating the hair follicles and promoting hair regrowth. BONE MARROW MESENCHYMAL STEM CELLS (BMCs): Our board certified doctor removes a sample of your bone marrow from you hip. Your stem cells and growth factors are then concentrated and injected directly into the scalp. The stem cells help reverse the miniaturization of the hair follicle and reverse dihydrotestosterone’s (DHT) thinning effects. How Does PRP and Stem Cell Therapy Work? Stem cells, PRP and the associated growth factors have multifaceted effects on the hair follicle and growth phases to improve the thickness and quality of the hair. 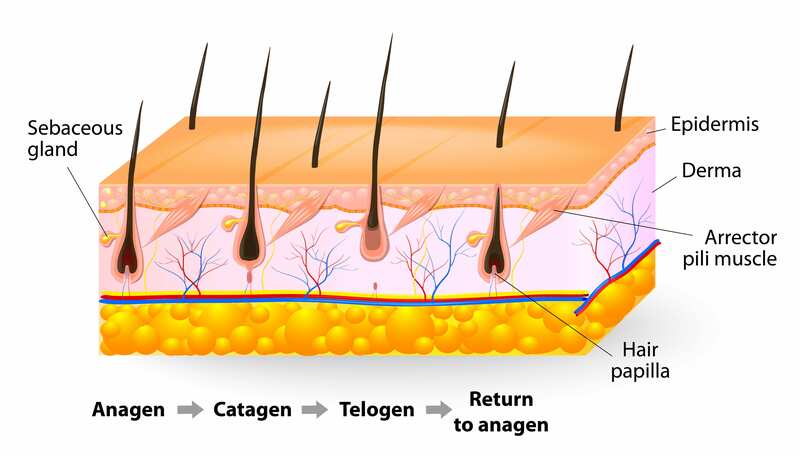 Growth factors act on the dermal papilla and stem cells affect the bulge area of the follicles, stimulating the follicular unit and promoting neovascularization(1). Platelet-Derived Growth Factor (PDGF) — promotes blood vessel growth, cell replication, and stem cell formation. Transforming Growth-Factor-Beta (TGF-b) – activates dermal papilla and inhibits apoptosis. It also promotes growth of matrix between cells. We begin the treatment by coating the scalp with lidocaine cream to gently numb the area. Utilizing a new multi-needle technology, our nurses inject the scalp with a customizable and consistent dosage, penetration depth and speed of injection. Our unique device provides safe, quick and reproducible treatments. Most competitors inject with a simple syringe that does not offer consistency or accuracy. Immediately following the treatment, you will be able to leave the office and go about your day. This treatment is designed to stimulate hair restoration from a cellular level so the effect is gradual. Most people begin to see improvement in their hair thickness and quality within 4-6 weeks of their treatment, though results vary. Our research and clinical experience suggests that the optimal results occur when a series of 3 hair treatments are performed 30 days apart. Some may also choose to have an occasional maintenance treatment to preserve and boost the effects.